Course Description: Honors US History I (transcript course title) This honors course takes students from the Age of Exploration through the Reconstruction Era. Students will learn about America’s early history by using online AP and college courses. The information is presented in readings and videos; students will respond with written work including paragraphs, journals and a research paper in which students will give an analysis of how the Civil War changed America. A final exam will be given. Thank you to Jennifer Cox for her work in constructing this course. If a link is not working, follow the steps on the FAQ page. (*)Print out your grading sheet for your first quarter or use the Excel version. Read over these questions for Days 1-8 and be on the lookout for the answers. Write the answers in complete sentences or paragraphs. Your answer should restate the question. I should know what you are answering without having to read the question. While you will have assigned reading and videos in this course, you will not get all of your information that way. You will be researching to find answers to some of the required questions. Read about Native American Cultures. There’s a link in the reading to learn more about the Anasazi that’s not working. You can read about them here. Pay attention and take notes and review them from time to time. There is a final exam at the end of the course. Answer the first questions about the different Native American tribes. Do research. Read about Christopher Columbus‘ 1492 voyage. Look at this picture of Columbus. Based on this picture, what motivated Columbus’ expedition? Read this excerpt from a letter from the King and Queen of Spain to Columbus. For as much of you, Christopher Columbus, are going by our command, with some of our vessels and men, to discover and subdue some Islands and Continent in the ocean, and it is hoped that by God’s assistance, some of the said Islands and Continent in the ocean will be discovered and conquered by your means and conduct, therefore it is but just and reasonable, that since you expose yourself to such danger to serve us, you should be rewarded for it. And we being willing to honour and favour you for the reasons aforesaid; Our will is, That you, Christopher Columbus, after discovering and conquering the said Islands and Continent in the said ocean, or any of them, shall be our Admiral of the said Islands and Continent you shall so discover and conquer; and that you be our Admiral, Vice-Roy, and Governour in them. According to this, what was the motivation of Columbus’ expedition? Are they the same or different? Explain to someone. Answer the question on your sheet about Columbus. Read Christopher Columbus: Extracts from Journal (stop at Tuesday September 25). Read Christopher Columbus: Extracts from Journal (Sept 25- Stop at October 15). Read about technological factors. Scroll down to find it. Read Christopher Columbus: Extracts from Journal (October 15- finish). Read about the rise of nation-states and exchanges. Scroll down to find it. You should be working on your answers. Look at this picture . Black Legend Based on this picture how might England have used the Black Legend to motivate and justify its colonization of North America? Read about French Explorers. Scroll down to find it. NOTE: When I ask questions right in the assignment, you don’t have to write those down if you don’t want to. They don’t need to be paragraphs or complete sentences. They are things I want you to stop and think about. These can be things to tell someone about or to discuss. Read about the Spanish Mission system. 2 points for finishing on time. Grade your answers up to 38 points, 2 for each answer for accuracy and completeness and up to 5 points for each of the two paragraph responses. Remember: your answers should be in complete sentences or paragraphs. Your answer should restate the question. I should know what you are answering without having to read the question. Take a minute to explore through these names who were contemporaries of where we are in history. Click on “people” on the left and then choose the date range on the right to bring up the names. Look through the names in the 1500s and the 1600s. Choose 1500-2010 from the index. There was more going on in the world than just the beginnings of America as we know it today. There’s a missing question: What is one important difference between colonial Maryland and Virginia? Read about the Jamestown Colony. Read about the House of Burgesses. You will not normally be told when to complete what answer. You can always go back and add more info to one of your answers if you read more about it. Read Tobacco’s but an Indian Weed and The First Virginia Charter. What does the poem about tobacco tell us about the controversy surrounding the introduction of tobacco to Europe? Read “Virginia: The London Company.” Do not use the links on the page. Watch the History channel video about Jamestown. Read about the Plymouth Colony. Scroll down to find it. Watch this History channel video about mayflower. If you like pictures to go along with your reading…this is just extra, for those interested. You might want to again read over your next set of questions. They are for Days 9-22. Answer them as you are able. Don’t put off until tomorrow what you can do today. Read about the Massachusetts Bay Colony. Don’t forget about the missing question: What is one important difference between colonial Maryland and Virginia? Read the second topic on the page, The Puritan Religion. Remember to be answering questions. You can probably answer all but the last question now. If you need to do a little research, do so. Finish reading the page, Dissention in the Bay Colony. Read about New York and New Jersey. Read the Release of New Jersey. What do you think might have been the Duke of York’s motivation in giving part of his conquered territory to Lord John Berkley and Sir George Carteret? Read about Pennsylvania and Delaware. Read the excerpts from Penn’s Treaty and Penn’s frame of government. How do you think Penn’s religious beliefs influence his interaction with the Native Americans? Read about Maryland, Carolina and Georgia. Take a look at this link for the original 13 colonies. Read the excerpt from The Maryland Toleration Act-1649. You should be finished your questions for this section. Record your score out of 29. Take some time to explore where we are in history. Click the right arrow to scroll through events of the 1600s. It starts toward the end of the 1500s. You can just read the titles. Read over your questions for Days 23-30 . Answer them according to the directions as you are able. Don’t leave them for the last day! Read about the origins of slavery. 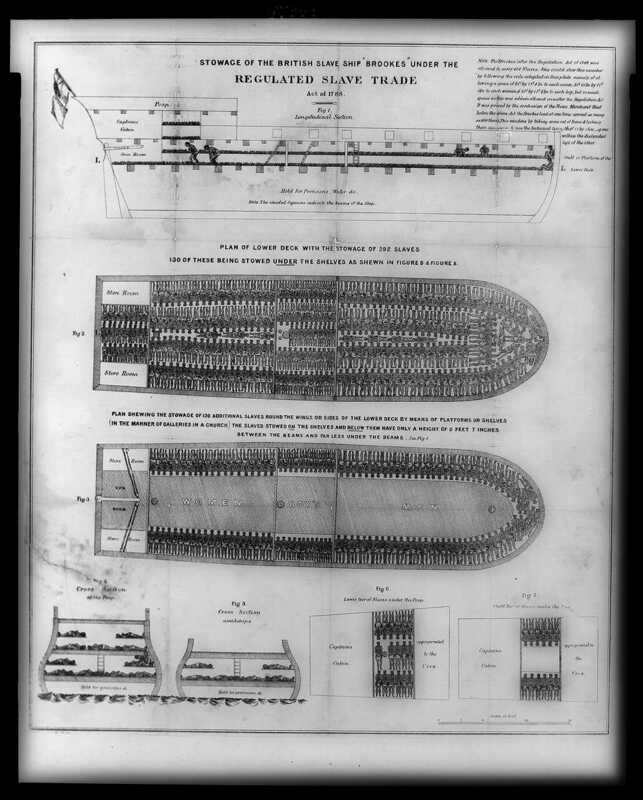 Look at this image of a slave ship. Read this excerpt (comes second) from Virginia’s Slave Code and the annotation. Read this excerpt from The Interesting Narrative of the Life of Olaudah Equiano, showing a slave’s experience. What were some ways the slaves were affected by Virginia’s Slave Code? Read the section on “Diversity,” the second topic. Look at this map about colonial imports and exports. What were the major imports and exports in the New World? Read Sage’s “Colonial Life: Work, Family, Faith.” Stop at The Protestant Reformation in Germany and England. Read the last section, “Family and Social Life“. Read the quoted passage from the Charter of Rhode Island. Read about half of Jonathan Edward’s famous sermon, “Sinners in the Hands of an Angry God.” He preached this sermon to thousands in Connecticut in 1741. National Geographic Presentation Stop at the Epilogue. You’ll read in this how the girls who started it were disobeying their families and listening to a fortune teller, who can either be a fake or be someone who is cooperating with a demon in tricking foolish folks into believing they are predicting the future when only God knows the future. Here we read that this woman admitted to serving Satan. The girls, in their sin and dabbling with occultic activity, opened the door for Satan in their lives. Who knows, maybe they wanted the same “power” the fortune teller had and asked for it? I don’t know what happened, but it seems obvious from the description of them convulsing, cowering and speaking nonsense that they became demonized. That means that demons came and took over part of them. You can invite demons into your life just like we ask the Holy Spirit to come into our lives. One may promise excitement and power but is a liar and ends up hurting you. The other only works for our good and is completely trustworthy and faithful. I know someone who told me that he purposefully invited demons into his life wanting magical powers. He ended up hating his life. In the Salem Witch Trials we see a church without the power to free them from the demons. That is not a true demonstration of what the Church should be. Thankfully, the man I know was freed from the demons in him and filled with the Holy Spirit instead and now teaches the Bible. Also, this isn’t to say that everyone who was part of this was dealing with demons. People got scared and acted in fear, making crazy accusations. Certainly no one should have been killed no matter what the truth was. This comes from Ambleside online year 9. The Salem Witch Trials were a blight on our history, but the fact remains that they stand out because of the rarity of witchcraft executions in the Colonies, and their comparatively late date (although Switzerland executed a witch in 1892). In the Colonies, 40 people were executed for witchcraft, half of them in the Salem Trials, and one of the key judges later repented and expressed his deep sorrow for his role in the executions. In England, there were nearly a thousand witchcraft trials from 1552 to 1722, and roughly a quarter of those ended in executions. Scotland tried nearly 2,000 in the same period, and even Switzerland had nearly 400 witchcraft trials in this period with nearly a quarter of the accused executed. Southwestern Germany executed some 3,000 during the same time period. Choose the Epilogue from the top menu. Write a paragraph stating your thoughts on the Salem Witch Trials. Are you finished with your questions for this section? Read from the sites linked below. Read your teacher’s answers to your questions for Days 23-30. Look at the history of the 17th and 18th centuries. Click on history and choose the correct time frame. Read over these instructions for your upcoming project. Read over your questions for Days 31-36. Make sure you answer in complete sentences or paragraphs, always restating the question in the answer. Read about the North American Alliance. Look at the famous cartoon, Join or Die. This is considered to be the first ever published political cartoon. What does it show and what is Franklin trying to convey by it? Read about the Proclamation of 1763 . Read about the causes and effects of the French and Indian War. Read about the Stamp Act. Finish reading “The Right of the Colonies. Read about the Sons of Liberty. Read about The Townshend Duties, topic 2. View these accounts, from two opposing points of view, of the Boston Massacre. Read about the Boston Massacre. Scroll down to read about the Boston Tea Party. Read the Eyewitness account of the Boston Tea Party. Look over this timeline of Milestone Events. Read your teacher’s answers to the questions for Days 31-36. Record your score out of 20. There is potential for extra credit. You can score up to 5 points for your three paragraph answers. Lose one point if it’s not a paragraph. Lose one point if it does not restate the question. Your answers will not match your teacher’s exactly. You get the points if you followed the directions and answered the questions fully. You get two points for each sentence answer. Lose one point if it’s not in a complete sentence and doesn’t restate the question. Read over your questions for Days 37-45. Read about the political philosophy of the American Revolution. Read about Lexington and Concord. Read about the social philosophy. Read Abigail Adams’ letter to her husband, John Adams. Read about The Continental Congress. Read about The Great Declaration, second topic on the page. Begin reading your biography (if you have not all ready.) You will only have a presentation to watch today though day 45. There is no additional reading, but you need to be writing answers to your questions due on Day 45. Here’s a reminder of your upcoming project. Part of your score will be following the directions and completing it on time. Read about The Second Continental Congress. Read about the major battles of the Revolution. Explore the link “13 colonies during the war.” You don’t have to write out answers, but you can think about the answers. Read about George Washington’s Leadership. Read about the Battle of Yorktown. Read about the Peace of Paris (1783). This is third on the page. Read over your teacher’s answers. Record your score out of 10. That leaves one point for extra credit. You get 2 points for the first question if you answered it and used a complete sentence retelling the question. You get one point for each of the others: .5 point for the “define,” and .5 point for the significance. Answers will not match exactly. This is the end of the first quarter. You may want to hold onto your questions and answers for your portfolio. You can figure out your grade by totaling your scores and dividing by the total possible. Your goal is to get an A. (*) Print out your next grading sheet or use the Excel version. Finish reading your biography and prepare your presentation. On Day 50 present your presentation. Stand in front of your audience. Read your slides but also add to them. Answer their questions. Record your score out or 40. Read over your questions for Days 51-58. Read about Forming a Confederation. Read this summary of the Articles of Confederation. Read the second topic, The Social Revolution. Read the Virginia Statute of Religious Freedom and the annotation before it, which explains it. Make sure you are answering your questions as you are able. Also make sure you are using complete sentences and restating the question in your response. Read about Land Ordinances in the Old Northwest. It’s the second topic on the page. Make sure you are always looking to be answering your questions. Read the first third of this article on Constitutional Government. Stop at the Legislative Branch. While some founding fathers may have not believed in divine intervention in the creation of America, many did believe that they were guided by God as their writing testifies. Read about Shay’s Rebellion, topic 3. Use the links to read the letters to James Madison from Thomas Jefferson and from George Washington. Finish your questions if you haven’t already. Read Letters from a Federal Farmer: “Letter I: October 8, 1787.” Scroll down to see the letter. There are many. You are reading the first. Write a paragraph on why this technique works on people and what you can do to prevent yourself from being tricked by it. Your answers are due today. Score them as usual for content and clarity, clearly telling the reader what question is being answered. The questions are labeled with how many points they are worth. Record your score out of 17. Read over your questions for Days 59-68. Read about the Philadelphia Convention. Take a look at the Delegates to the Convention. Read about the state’s plans, topic two. Read the third topic, compromise reigns. Continue Reading the Constitution. Stop at Article 1, Section 9. Continue Reading the Constitution. Stop at Article 2, Section 3. Move your mouse over this map to show who ratified the Constitution when and by what vote. Which state was the first to ratify the Constitution? Which was the last? Which did so by the widest margin? Which by the closest margin? What were their views on taxation? Which side do you think you agree with? Why? Read about Washington being elected president, topic two. Read George Washington’s First Inaugural Address. Read about the Bill of Rights. Read the Bill of Rights or you may read them from the Constitution. Make a list of the 10 amendments and what rights they guarantee you. Keep in mind all that you learned about the reasons for the Revolution. Do you recognize specific acts that were committed by the British? How does your list compare to this list? Reread the Second Amendment. Look at the exact text and define the terms with what you have learned about this time in history. Remember the English language is a changing language so you need to think about how people at this time would have defined these terms. What was the militia? Do you remember the minute men? Why was a militia necessary to the security of a free State? Why was the right of the people to keep and bear Arms so important? This is a hotly debated amendment and rather than give my interpretation of this amendment, I would like you to discuss your answers with your parents. Learn the Bill of Rights numbers. Can you match them? Click on secondary and play the game. You can take a look at the timeline again. Finish Reading the Constitution, Amendments 11-27. Read this simple, clear version of these amendments. You questions are due. Read your teacher’s answers. Look over your questions for Days 69-79. Read the first topic on Jefferson vs. Hamilton. Look through this page on continental money. Remember to always be answering questions as you are able. Watch the video on Hamilton vs. Jefferson. You can stop at 3:15. What is Hamilton’s monetary policy idea? Who comes across looking like a good guy? a bad guy? Watch this video on Hamilton vs. Jefferson. What does this video say about Hamilton and debt? Do they seem the same or opposite? Always remember that even though history can seem like a bunch of facts, it’s always presented from a perspective. As an example, some textbooks make all Republican presidents sound like the greatest men who ever lived; other textbook make them out to be nothing but problems for the country. Does Hamilton come across looking like a good guy or a bad guy? Hamilton wanted states to pay their debts. However, he wanted them to do that by borrowing from the federal government, making them beholden to the federal government. In turn the federal government will have to borrow money from foreign countries. Whom do you choose, Jefferson or Hamilton? What do you think about a strong central government and central banking, etc.? You don’t have to write this out unless it helps you form your thoughts. This is one for a dinner table conversation. Read about the Federalists and the Democratic Republicans. Listen to 1/4 of George Washington’s Farewell Address. Stop at around 9:30. You can read along. Watch the video on the French Revolution. Continue to listen to another 1/4 of George Washington’s Farewell Address. Start at 9:30. Stop around 19:00. You can read along. Read the third topic on Washington’s farewell address and learn from the timeline. Continue to listen to another 1/4 of George Washington’s Farewell Address. Start at 19:00. Stop around 29:30. You can read along. Read about the Whiskey Rebellion. Finish listening to George Washington’s Farewell Address. Start at 29:30. You can read along. Here’s the original speech. Try reading some of it. Read the first topic on the XYZ affair. Read the biographical info about John Adams. We will be reading, “First Across the Continent” by Noah Brooks . Here is a second version to choose from. I’ll be using the other to link to. You can download these as pdf or onto an ereader. Read about the alien and sedition acts, second topic. Continue First Across the Continent by Noah Brooks . Read chapter 2. Look at the timeline. We’re getting to 1800 now. Look at these timelines from 1780 to 1810. Continue to read First Across the Continent. Read chapter 3. Read about the election of 1800. Read about the bargain between Hamilton and Jefferson. What was their bargain? Why do some consider it corrupt? Continue First Across the Continent. Read chapter 4. Read the biography of President Jefferson. You can explore our capital. Read chapters 5 and 6 from First Across the Continent. Your answers are due today. Score them for content and clarity according to the number of points listed for each question on the page. Total: 43 points. Read about the Louisiana Purchase. Read chapter 7 from First Across the Continent. Read topic two, Lewis and Clark. Look at a map of their trip. Read chapter 8 from First Across the Continent. Read the third topic presentation on the Aaron Burr Conspiracy. 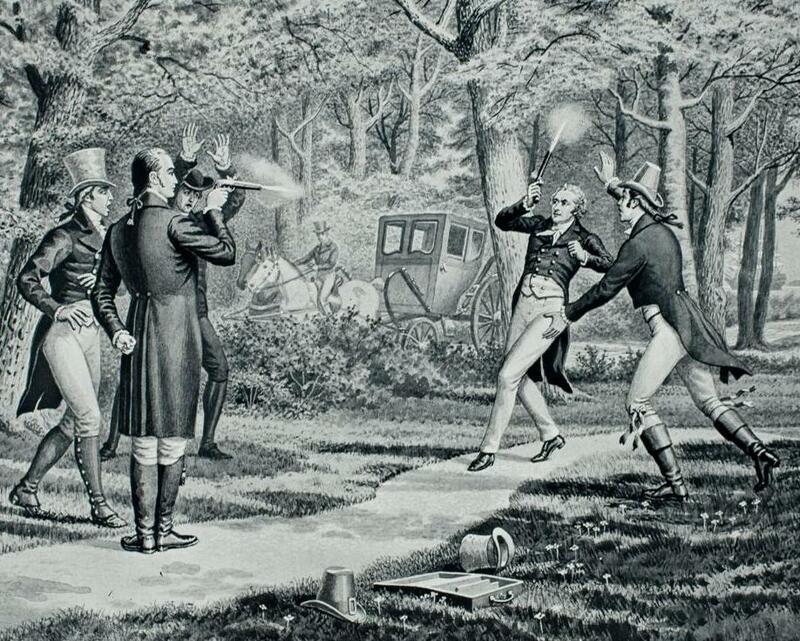 Look at the drawing of the duel. Read chapter 9 from First Across the Continent. Listen to Jefferson’s 3rd Message to Congress. What are his thoughts on how the Native Americans should be dealt with? Read chapters 10 and 11 from First Across the Continent. Read chapter 12 from First Across the Continent. Finish Reading chapters 13-26 from First Across the Continent. You have five days to read 14 chapters. This is the end of the second quarter. It’s time to save some work for your portfolio. Hang onto your written answers. Read over your next set of Questions for Days 91-100. Answer them as you come across the answers. Read Sage’s War of 1812. Read the second topic on the election of Madison. Click on two links at the top (the blue tabs) War and Flag. War has three additional links and and Flag has three additional links. Read the material and answer the questions at the bottom of the page that correspond with the material covered. Read topic 3 on The War. Go through the timeline presentation or just click on the cannons to learn more about the war. Only if you are interested and have permission and if it’s still available, you can watch this show about the ancestry of stars. His ancestors had something to do with the War of 1812 which is why I am putting it here. Remember, when you are reading about history, you are reading about real people. What would it have been like to been at Fort McHenry? Choose one of the following books to read. In both books you will learn what it was like to travel in the 1800’s. First you will read the book and then you will be writing a journal as a character. This project is due on Day 145. You need to plan how much you need each day so that you complete this assignment. There are about 30 days where you will be reminded to read your book. I will try to have less other reading on those days. Don’t wait until the last minute to finish your book! Two Years Before the Mast by Richard Henry Dana Jr. audio book Another version–pick which copy you find easiest to read. After reading the book of your choice, you will be writing a journal for a two week period. Start reading the book you chose for the journal project. Read topic one presentation on The Era of Good Feelings. Read the second topic on the Missouri Compromise. Read the third topic on John Marshall. Read about the Monroe Doctrine. Read about the Supreme Court. Can you take a case to the Supreme Court? Read Sage’s James Monroe and the Era of Good Feeling. You should be done your questions. Read your teacher’s answers and score yours. Read over your questions for Days 101-108. Read about the Growth of America. Read and look at the pictures about the Castle Garden. Read about the Growth of Industry. Read these two different views of factory life from the Lowell Offering and The Harbinger. Scroll down this page to “Lowell Changes.” It’s under the Lowell Labor System which is under the map. Make three observations about what’s happening in America based on the information given. Record 6 points if you use the stats given to come up with three inferences about changes taking place in America. Read about the effects of industry, the third topic. Read about the Cotton Gin. Could you explain to someone what each of the tables of data shows? Read about the Westward Movement. Read all about the Conestoga Wagon. Explore the map on this page, Roads, Canals and Railroads. Move your mouse over each year on the map and watch the system of roads, canals and railroads develop. Read about the development of transportation. Answer these questions. What do you think? Look at this timeline of the transportation revolution. Choose two to read more about. Click on the T with the arrow over on the right of the topic. Finish your questions. Do research if necessary. Here is your next set of questions, Days 109-130. Make sure you work on this as you go along and not wait until the end. Read topic 1, Cotton is King. Read topic 2, Southern Culture. Read the interview with W. L. Boost, ex-slave, pages 138-142. Keep clicking next to get through the pages. You will finish reading the interview on Day 111. Study the slave/free state map. Then click on start and watch the expansion. Finish reading the interview with W. L. Boost, ex-slave, pages 143-147. Watch the lecture on the North. Click on number 3 (below the video) to jump to that section to start. That will make the lecture 30 minutes. Read from The African-American Mosaic about abolition. Read topic 1, the election of 1824. Read the biography of John Quincy Adams. What does the cartoon show? What does this lesson conclude about Adams? Did he win the election by corruption or not? That lesson assumes the corrupt bargain happened. This time the lesson assumes the bargain didn’t happen, making an inference based on what we know of Adams. However, the other course just calls it a fact when we don’t really know what happened behind closed doors. This is an example of a differing “facts” in history texts. History isn’t always as factual as it seems. History is always viewed from a perspective. In one of the lessons Jackson is viewed as doing wrong, and in the other, Adams. Our family used to live in Macedonia. Every time a different party won the election, the schools got new textbooks. Why? That party wanted their version of history taught! Read topic 2, the election of 1828. Look at the map (make sure you click on each of the boxes.) Suffrage is about the right to vote. Many states had laws that only land owners could vote because they were viewed as having a stake in the community. Read the brief biography of Jackson. Read about the election of 1828. Read Sage’s The Age of Jackson. Read topic 3, the New Political Party. 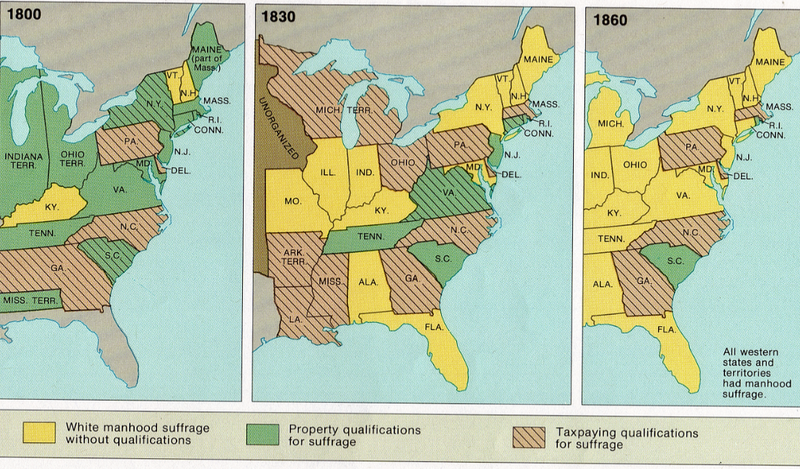 Look at the descriptions in the second section, Second Two-Party System Democrats v. Whigs, 1836 – 1850. Study the timeline from 1825 to 1840. Read about the Tariff of 1828. Read about the Whig Party. Use the two prominent links on the page. Read Sage’s Brief History of Texas. Sometimes our current situation has a huge impact on how we view history. This is not necessarily a bad thing. We can learn from mistakes made in the past, but it can cause us to misrepresent a historic event as well. Can you think of any current issues in our world that might affect how we see this time in history? In Education Portal’s American History course, the Americans are represented as deceitful lawbreakers who were out to take land from Mexico while the Mexicans are viewed as a bit naive. The Americans are viewed as being in control. Sage’s reading represents Americans as independent pioneers who moved into Texas in a loosely governed territory where they were for the most part left to manage their own affairs. The Mexicans are viewed as trying to control the situation, by limiting the number of Americans who could immigrate into the territory and having laws in place to make them more “Mexican.” However these rules were were not enforced or might be viewed as impossible to obey. They were to adopt the Catholic religion, but there no priests in the province. They were to give up slavery, but lifetime indentured servitude was accepted. Is there really a difference between the two? They were to pay taxes, but there were no tax collectors in the province. The current issues on our border with Mexico and illegal immigration might be having an impact on the interpretation of this event. Read topic two, South Carolina. Read this letter from Jackson to Van Buren. Read Clay’s Compromise, the third topic. Read about Henry Clay and the Missouri Compromise. Read about 19th Century Banking. Take a look at some colonial money. Read topic two, The Bank. Here are some pictures that were featured on bank notes. Read topic three, Jackson and Bank War. Reading day. Read your book. Read about Native Americans and the New Republic. Read this page about the Trail of Tears. Read these letters which are eyewitness accounts. Ralph Waldo Emerson’s Letter . Read about the Indian Removal Act. Read the excerpts of Andrew Jackson’s Message to Congress. Read through this page on the Indian Removal Act. What’s the irony in the political cartoon? Read topic three, Jackson and Van Buren. Read Martin Van Buren’s biography. Check your answers, Days 109-130 Answers. Record your score out of 25. Here is your next set of topics to be writing about as you read each day. Read topic 2, Social Reforms. View this cartoon and read the explanation. Read topic 3, Women’s Rights. She’s a famous name in women’s rights. Take the tour of American abolitionists. Read the biography of James Polk. Read topic one, (Manifest Destiny) The Oregon Country. This is the end of the third quarter. It’s time to save some work for your portfolio. Hang onto your written answers. (*) Print out your final grading sheet or use the Excel version. Read topic two, the Annexation of Texas. Look at and read about the cartoon. Read about Presidents William Henry Harrison and John Tyler. You will be writing a journal based on your book that showed what it was like to travel in the 1800’s. You will write as a character from the book or as someone who would have been in the same time and place. Today you will choose a character. Write the character’s name, age, starting location, where your character will be heading, occupation (if applicable), family members, economic status, and anything else you can think of that you’d like to add. You could draw a picture if you like. Every day you’ll write an entry about your journey. Date each entry and tell what happened that day. Every day must be different and something must happen every day. “Nothing happened today” doesn’t count. The link is a how-to for excellent journal writing. This is how you will be graded. You will use this rubric. (The word “essay” should be “entry.”) Each day’s entry will be worth four points. Your score will be an average of the that day’s points in the different categories on the rubric. Read topic three, Mexican American War. Read this article on the Mexican War. Write a journal entry. See Day 136 for directions. Read about the California Gold Rush. Study the timeline to 1850. Read the biography of President Zachary Taylor. Read topic one, Slave Resistance. Read the biographical story of Henry Box Brown. View the image of Henry Box Brown. Read topic two, Compromise of 1850. Learn something about President Millard Fillmore. Read topic three, Uncle Tom’s Cabin. Read about the Ostend Manifesto. Read the biography of Franklin Pierce. Read topic one, (Approaching War) Kansas-Nebraska Act. Listen to David Blight’s “Anti-Slavery Movements, Part 3” (Uncle Tom’s Cabin). Last day…Write a journal entry. See Day 136 for directions. Score your journal, up to 4 points for each entry. Use this rubric. (The word “essay” should be “entry.”) For each entry average the points scored. Add four points for your first day’s character description. Record your score out of 40. Read topic two, Dred Scott Decision. Read about the Dred Scott ruling. Read the biography of President James Buchanan. Read topic three, Lincoln Douglas Debate. Scroll down and read the second quote. Read Sage’s The House Dividing start at The Politics of Slavery in the 1850s. Read about John Brown’s Raid. Read about abolitionists’ strategies. Click to “continue the tour” until you get to hymns and songs. That’s the last page. People memorize the Lincoln Douglas Debates and reenact them. There are student competitions where they do this. Here’s a championship reenactment. Finish reading. Start at “The South’s Crisis of Fear”. There’s some repetition of what you read a few days ago in here, so use your skimming skills where it’s not necessary to read through it carefully again. Read your teacher’s answers and score your assignment. Record your score out of 45. You will be writing a paper on the Civil War, about how it changed America. As you go through the chapters on the Civil War and its impact, be taking notes, copying down quotes, keeping a bibliography, etc. to help you with this assignment. Read about the Election of 1860. *Print out the detective log. Investigate the front line evidence. Fill in the chart. Instead of filling in vocabulary, fill in key words that will help you remember what that document said, such as shelling, cellar, fire. You are going to be comparing and contrasting the home front with the front line. Read the biography of Abraham Lincoln. Investigate the home front evidence. Fill in the chart. Instead of filling in vocabulary, fill in key words that will help you remember what that document said, such as shelling, cellar, fire. You are going to be comparing and contrasting the home front with the front line. Read about the Civil War. Click on next to read about Fort Sumter. Read about the 29th Regiment. Fill in the Venn diagram comparing and contrasting the home front and the front lines. For your paper you are going to be looking for what changed as a result of the Civil War. Your paper must include at least three quotations. Here is help in identifying the type of resource and how to record it in your bibliography. Keep track of your resources as you come across them. In your notes you need to know where the information came from. • The paper should be at least five pages, typed and double-spaced, and no more than ten pages. Look at this sample research paper and how it gives credit to where the information came from. This is how long your paper should be as well. You need to do the same. Read topic two, the battles. Could this timeline help you? Here are some areas to consider when looking at how the Civil War changed America: government, expansion, race relations, and economic development. Read topic three, the economy. Make sure you are taking good notes and writing down your sources. Here are some links to online primary resources. Read topic two, Emancipation Proclamation. Here are links to some other resources. Read topic three, thirteenth ammendment. 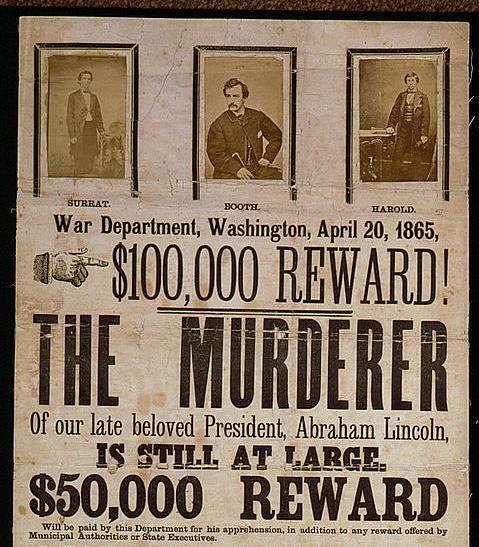 Look at this wanted poster. Make sure you consider the credibility of the resource you are using. Before you begin your writing, read over this writing advice. Read about the election of 1864. Create an outline. Your paper and outline should be structured something like this. 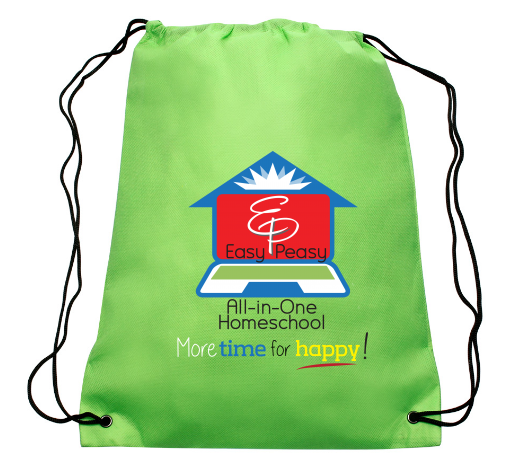 The more you put in the easier the writing will be. Read topic two, effects of the war on the South. Read Lincoln’s second inaugural address. A paragraph has an introduction, supporting details and a conclusion. An essay has the same but each is its own paragraph instead of sentence. A long research paper will follow a similar structure but those supporting details are now each their own mini essay within the paper. Write your thesis and three main topic sentences that support your thesis. Read the biography of Andrew Johnson. Take a look at the sample research paper again at how it used references and citations. Start writing. Use double space. Remember to be specific, eg. what exact law. Important: Tell why something changed and the how something changed, not just the what changed. Read topic two, the black codes. Read some of the Mississippi code (it’s the second one on the page). Read the first several paragraphs, at least, of this speech on the Black Codes. Keep writing. This paper is due on Day 175. Read topic three, congressional reconstruction. Keep writing. Use your outline. Read topic one, impeachment of Johnson. Keep writing. Refer back to the assignment on Day 153 and the sample research paper as necessary. Read topic two, the reconstructed South. Your paper must be at least five pages. The cover, notes and bibliography don’t count towards this! Read topic three, reconstruction ends. Keep writing. Remember to be specific, eg. what exact law. Important: Tell why something changed and the how something changed, not just the what changed. Read the biography of Ulysses S Grant. Keep writing. You’ll want to be finished on Day 171. Read the biography of Rutherford B Hayes. You should be finished writing. Read and edit your paper. Type up your cover page, notes and bibliography if they are not yet complete. Here is the sample research paper. Your paper is due today. Here is your grading rubric (page 1) (adapted from here by adding point values). When it talks about “major references,” that means sources that are agreed upon as true. Joe Shmoe’s blog where he gives his opinion, is not a strong resource and has not been approved by experts in the field. When it talks about style, you will see if the student follows the guidelines given to create a title page, notes and a bibliography as shown in the example and reference links. If you wrote a double spaced, normal sized font paper of at least five full pages (for the writing part), add five points to your total. Record your score out of 100. Prepare a summary of your paper to present to an audience. You can receive up to 5 points for clarity of content. Does the audience come away feeling like they understand your thesis? You can also receive up to 5 points for clarity of speech. Did you present with confidence, projection, enunciation, poise and fluidity? Orally present a summary of your paper. Have your audience score your presentation. Record your score out of 10. Read through your questions and answers as well as any notes to prepare for the final exam. Take your final exam. You will do numbers 1-21. Grade your final. Add one point because you were not taught to this test. If you are planning on taking the CLEP, there are study resources below. The study guide site offers other suggested resources if you feel they are needed.